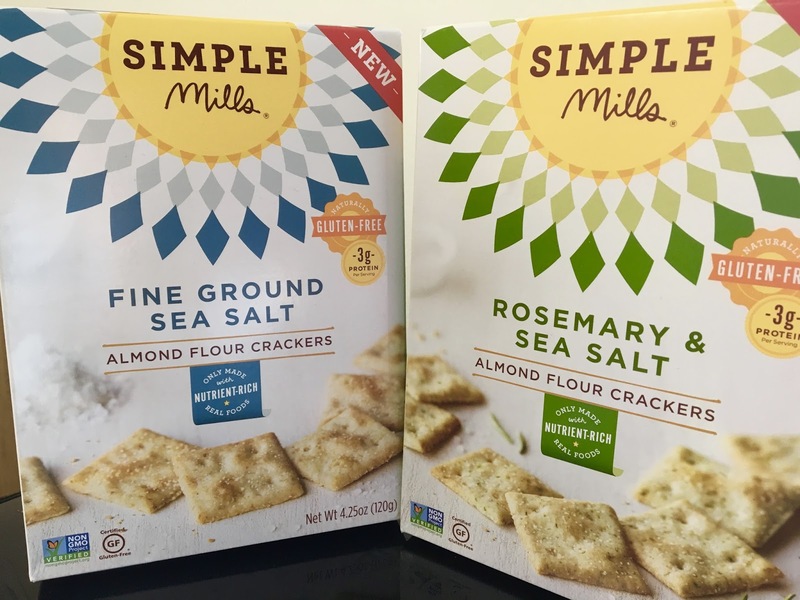 Simple Mills' new line of almond flour crackers has four varieties in it's line up: sea salt, rosemary, sun dried tomato and basil and farmhouse cheddar. The latter is the only one that contains dairy, so avoid that variety if dairy is off limits for you. One of the packaging features I love about Simple Mills is that they take the time (and space) to educate you about the importance of the ingredients they use. I love learning about why plant-based ingredients are so important, and even gained a lot more respect for ingredients I eat on a regular basis! The sea salt variety was the first I tried, the crackers I immediately fell in love with their crispiness. 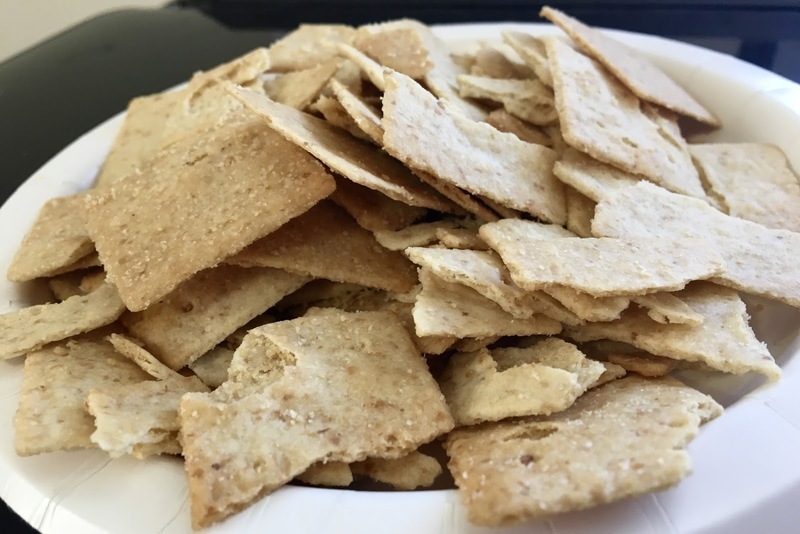 The crackers have a nutty flavor, but it's not too overpowering or off-putting. 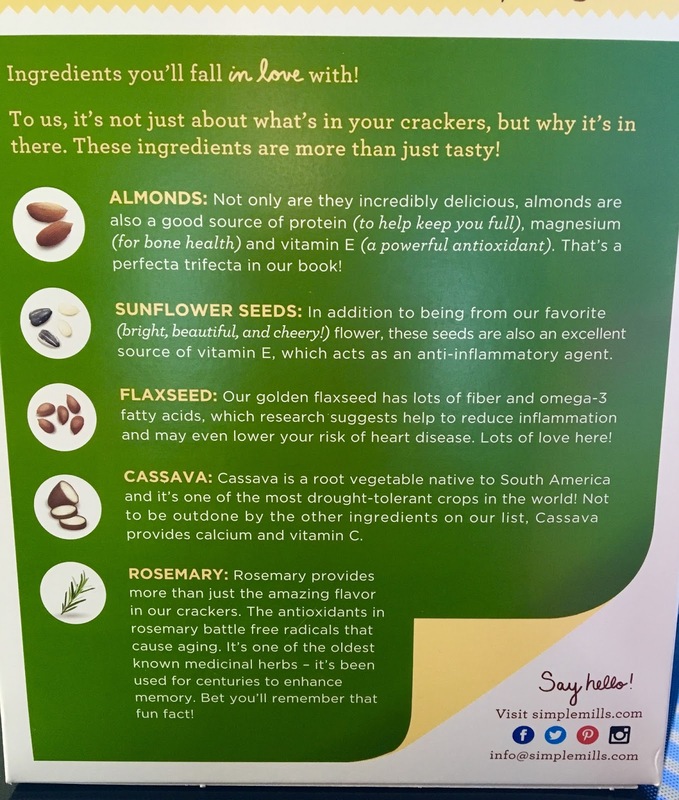 Dusted with salt, they definitely satisfied my salty snack cravings, and are versatile enough to pair with guacamole, dips, or cheese (if that's you're thing). I almost ate the whole box in one sitting, and definitely would buy these over and over again. Coming from a non-cracker lover, that's pretty high praise if I say so myself. If the sea salt crackers were amazing, the rosemary were completely and totally mind-blowing. Just as crisp and crunchy as their plainer counterparts, these were loaded with rosemary, onion, and garlic, which created a flavor combination that totally appeased my spice-loving taste buds. 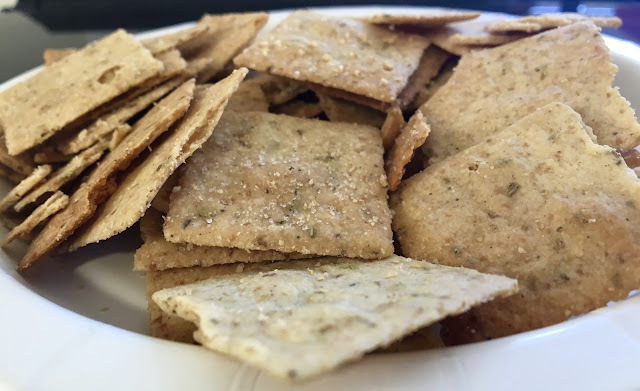 The rosemary game is strong, so these are not as versatile to be paired with dips or toppings, but they really stand strongly on their own, and I had no problem finishing off my sample box (crumbs included) in one sitting. These definitely were my favorite of the two, though both varieties earned a hearty two thumbs up from me. To learn more about Simple Mills, click here to visit their website, which also has their online store. The crackers can be found on Amazon as well. 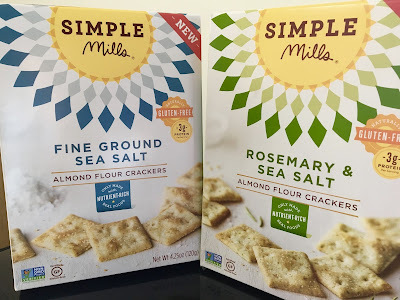 To read about Simple Mills' baking mixes, click here for my original review and click here for my review of their newest mixes. Disclaimer: This review is current to the original publication date. Updates will be noted. Ingredients and manufacturing processes can change without notice. Each product should be reviewed for individual nutritional needs. Feel free to to contact me with any questions or comments. 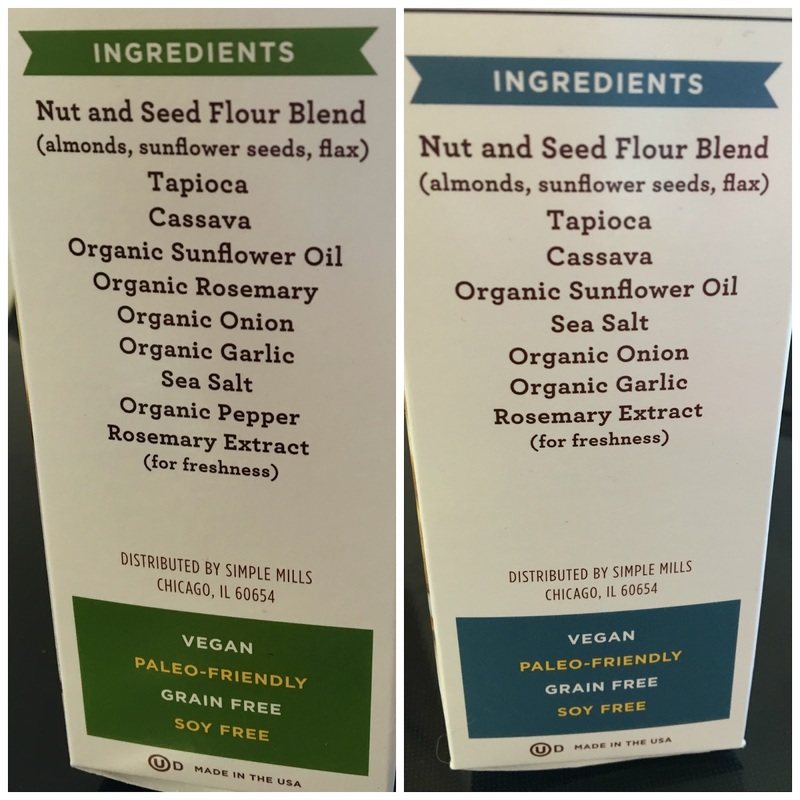 Simple Mills sent me samples free of charge for review purposes, but the review is a reflection of my personal opinion.